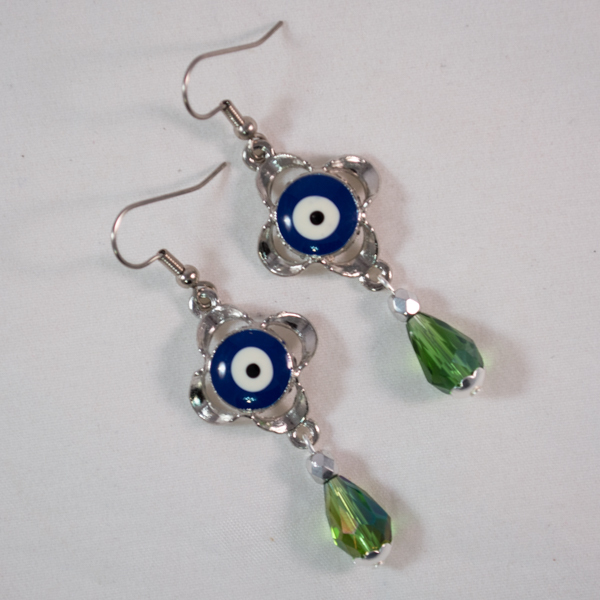 Resin and alloy evil eye charms get some added sparkle with Czech glass beads. 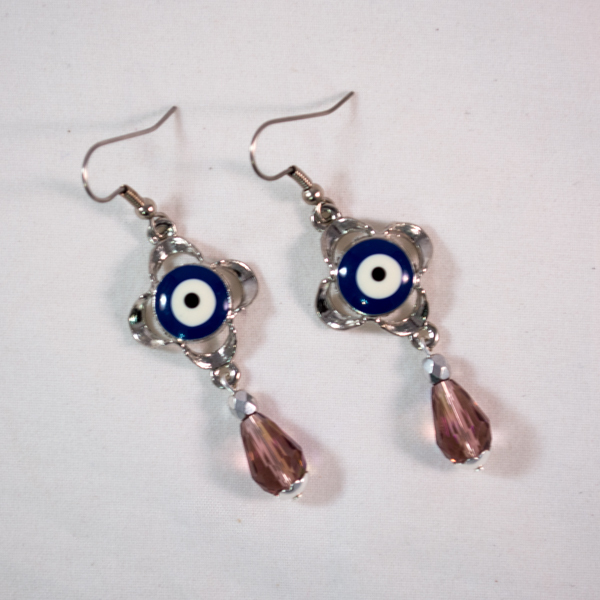 These earrings’ hooks are nickel-free surgical steel. 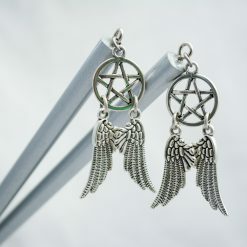 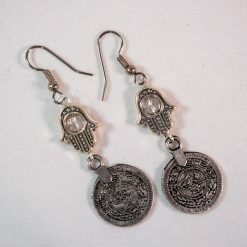 Each earring weighs 3.5 grams (less than a nickel, and 7g total). 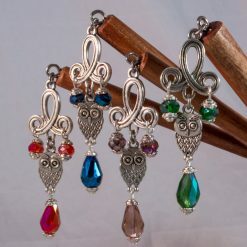 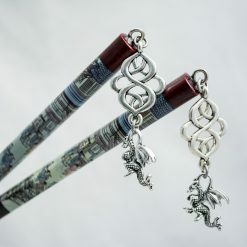 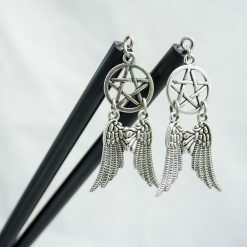 They’re 2.3″/6cm from the top of the ear wire to the bottom of the bead, and are .75″/1.9cm wide at the widest point. 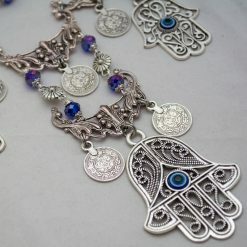 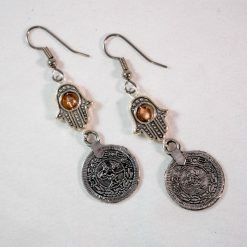 The evil eye motif has appeared across numerous cultures for somewhere around three thousand years. 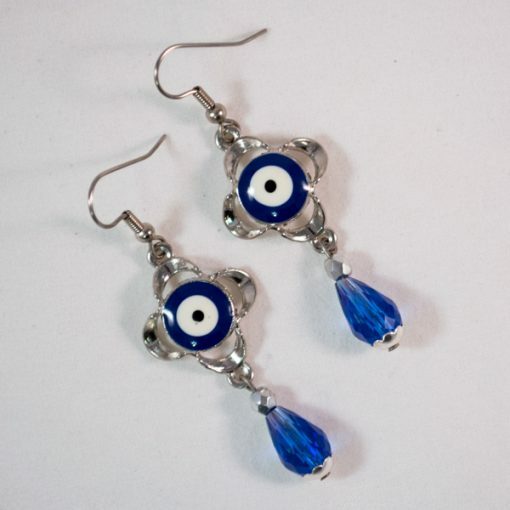 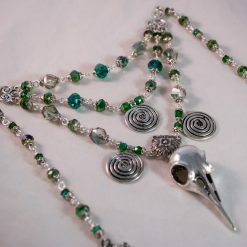 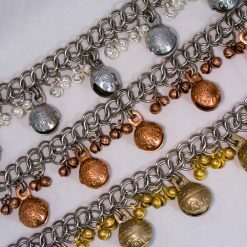 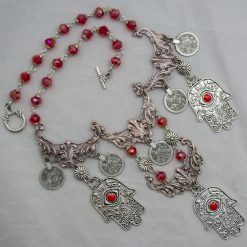 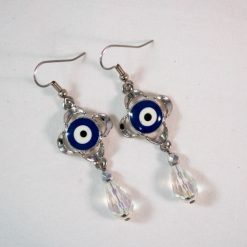 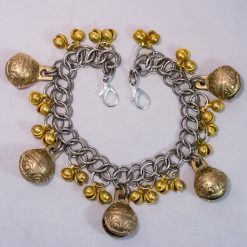 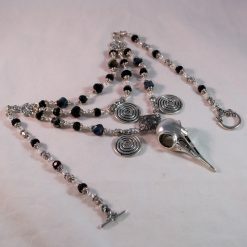 Currently evil eye beads are most often associated with Turkey, and are worn as protective amulets. In short: If someone cast their ill will at you–by giving you the stink-eye, being envious, or otherwise aiming negative emotion your way–one of these charms would catch or deflect their ill will, preventing it from hurting you.